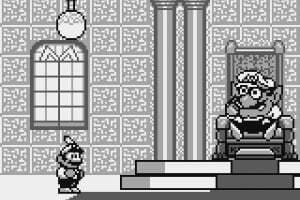 Temper tantrum tyrant seizes Mario Land! 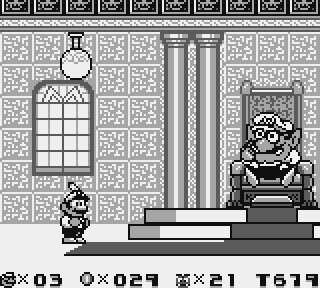 To toss Wario off his ill-gotten throne, Mario must search all-new worlds for the six golden coins that unlock the gate to Mario's Castle. A mob of monsters, old and new, seek to stop him. 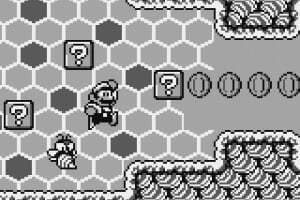 Along the way, through 6 zones, Mario can nab Power Mushrooms, Super Stars, and Fire Flowers for extra power. And if he eats the Magic Carrot, he'll turn into a high-flying hare. 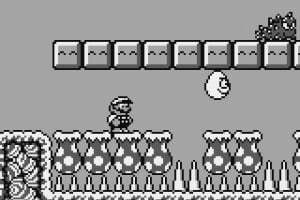 This is still one of my favorite Mario games. 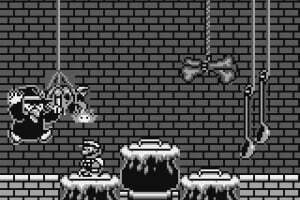 And perhaps is the best game of the orginal black and white GB. 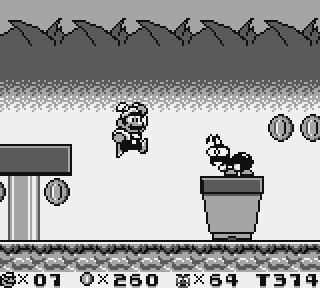 The Super Mario World style graphics are amazing and the adventure is addictive. 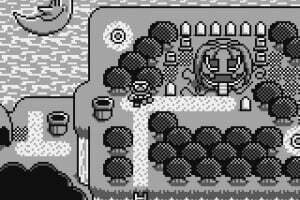 The only thing I didn't like about this game the first time around was that it was fairly hard to see on the old Game Boy screen at times. But now that I have my Super Game Boy 2, it's no big deal. A fantastic game! 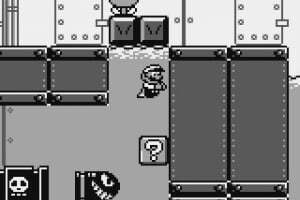 The first time I played it was 1998 on the Super Game Boy. I think the game is timeless. I will play it anytime, anywhere. I was more of a Lynx fan in the early 90s. 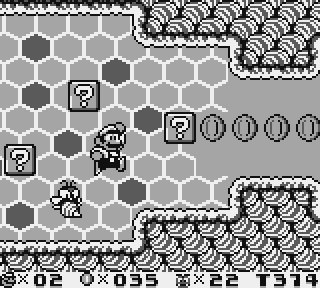 Although, I was pretty jealous of all of the addictive, puzzle games that came out for the GB around 1990. Qix, Quarth, Boxxle, and Tetris are all classics. 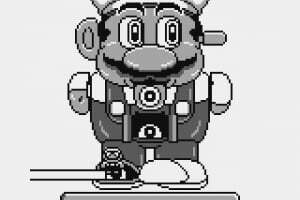 When I got my SNES with Super Mario All-Stars in 1995. I quickly bought a Super Game Boy to play Qix. I think I got Qix for $5.00 new at KB Toys. That was a deal! 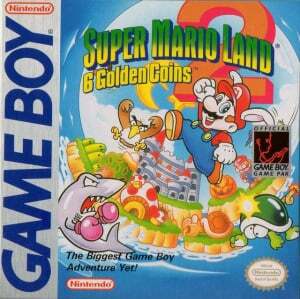 I actually prefer Mario Land 1 over this one. It's still a good game though. 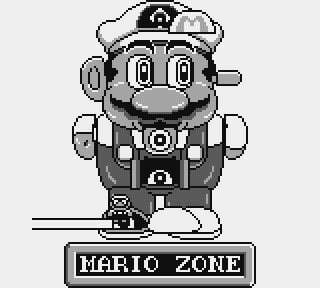 I always felt the controls were a little loose on Mario Land 1. Also, it would of been nice to save the game. What a truly great game this is! 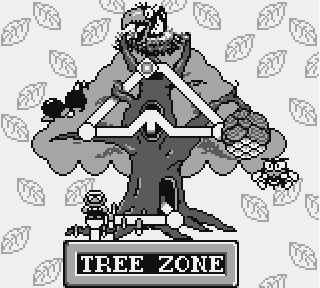 I can't believe they got such a fantastic, well presented and deep game onto that tiny little Gameboy cartridge. 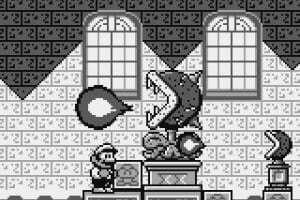 The fact it holds it's own against the other Mario games sums up what an achievement it is. 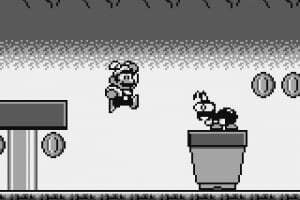 Shame it never got the GBA reboot given to the NES and SNES Mario games as I would've loved to see this game in higher resolution and colour. It has color if you play it on the GBA. This game is fun. Really fun. 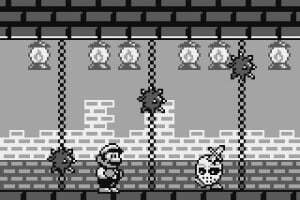 Loved this game. 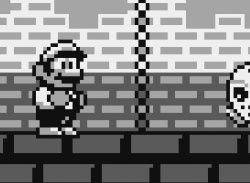 Long live the gray brick! I love this game. I picked it up recently, and I've been having a blast with it. Now I need to get the prequel. Yes. I will embrace the retro love. 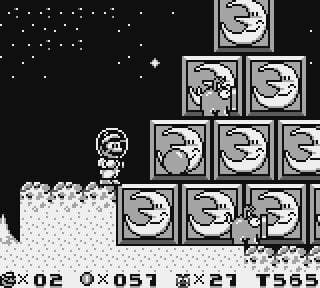 Super Mario Land 2 is a real masterpiece and a must-have. I can't wait for this game either. 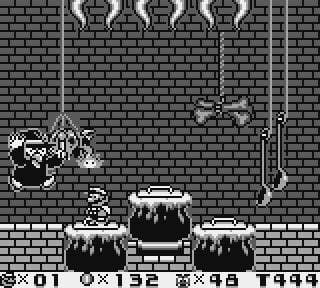 I most of all want Wario Land 1 through 3 as well. i really want this, back in the early 90s this was my favourite game, i'll buy on release day. I can't wait for this game to launch out on the 3DS VC. I need to finish up SML and wait for this. Super Mario Land 2 in Europe the next week!!!! 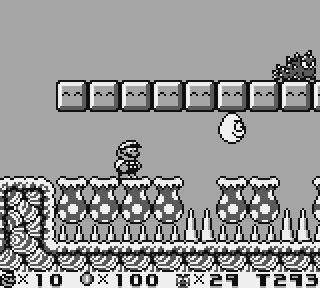 Downloaded it first thing this morning and so far I am loving it Charming, good old fashioned Mario goodness I have to admit I never played this one before (and it's great!) A+! i love this game! i used to play it on my game boy advance sp (since it was compatible with it)but then i lost it.now i can be able to play it again! 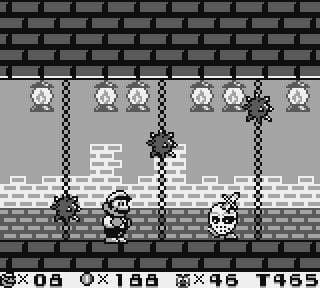 I love the big, detailed sprites and the catchy music. 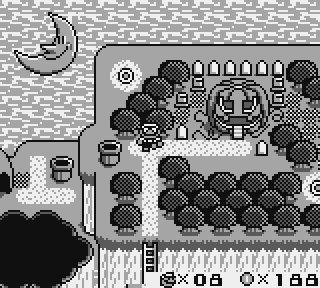 Nintendo fixed the problems I had with the first SML (namely, the controls), and it's just a ton of fun. Short and easy? Sure, but it's a game I'll always return to. The enemy designs are superb, like the walking hockey masks embedded with knives in the Halloween world. 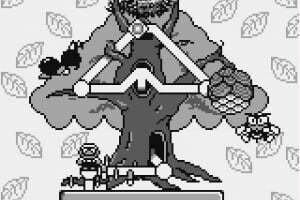 I adored this game. 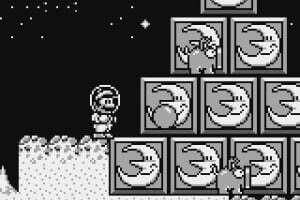 I spent more time playing this game then practically anything else on the game boy except Tertris. @ShinyGold, what the hell are you going on about? 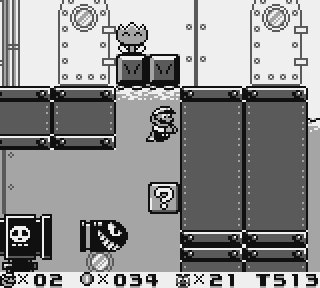 This is definitely the first Mario game to feature Wario (thanks for him, Gunpei), and to my knowledge the first Mario game where you can actually backtrack in a level. 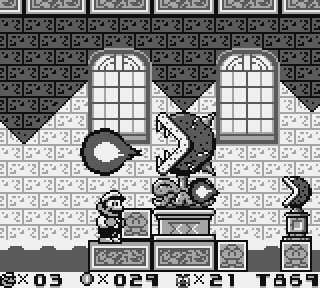 Also, unless my memory fails me, the first Super Mario game that allows you to save your game.